Hypergreens Plant Saucer 12 Inch is great for 5 Gallon heavy duty flower pots (Pack of 5) by Hypergreens at Tulips Orchids. Hurry! Limited time offer. Offer valid only while supplies last. These sturdy and reusable black saucers come in different sizes to fit different pots. Use them to collect excess water drainage and soil spillage. 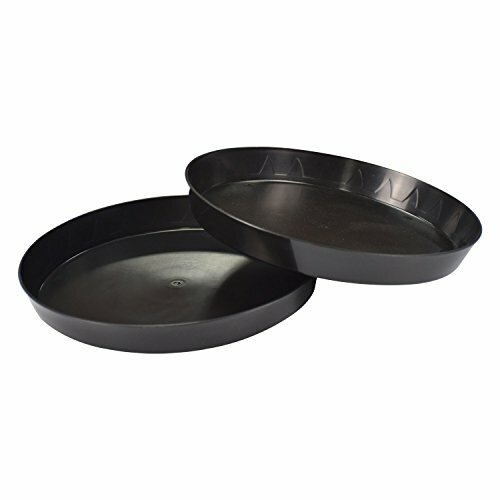 These sturdy and reusable black saucers come in different sizes to fit different pots. Use them to collect excess water drainage and soil spillage. Implementing saucers into your growing program helps keep plants moist longer and maintains a cleaner garden. If you have any questions about this product by Hypergreens, contact us by completing and submitting the form below. If you are looking for a specif part number, please include it with your message.